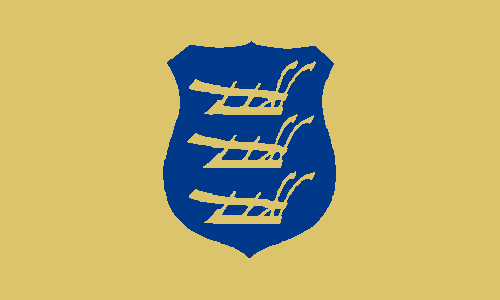 To see all flags published, click here. Sorry for the absence of exact eight months, really! I'll try to post with much more frequence. 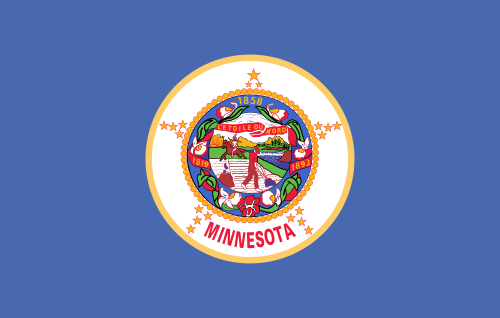 The "V" letter was rotated to make room to the addition of a Phrygian cap, an anti-monarchist and republican symbol, what's a reference to the obverse of the seal (present on current flag) and even appears on the reverse. My only fear is that the reference isn't as obvious as I suppose. What's your opinion about it? The colors orange, white and blue came from the Dutch national colors, representing the Dutch heritage, on the time New York region was still name New Netherlands and New York city was still the New Amsterdam. 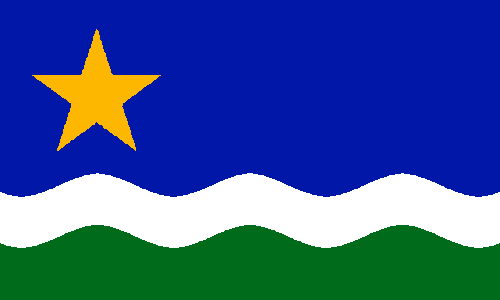 The same Dutch heritage is honored in the current flags of New York City and Albany. The general layout of the flag (specially the blue part) represents the Erie Canal crossing the state. The Erie Canal is one of the few NY symbols that divides and unites the whole state. 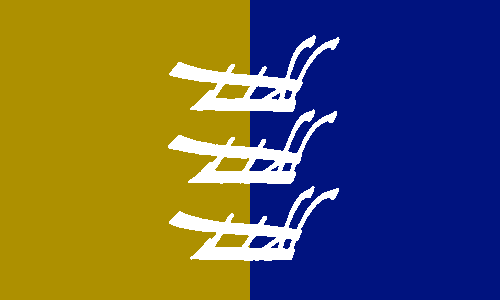 This flag is very uncreative, and therefore too complicated to be an operative flag. 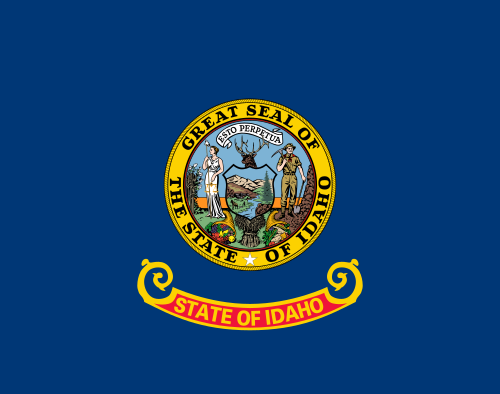 It's a blue background with state seal and state name — by the way, have you ever noticed "State of Idaho" is written twice? There are too many details (a tied horse, have you saw? ), and too square to American standards. The charge of the flag is an elk, a symbolic animal of state, present in the seal (inspiration comes from there). 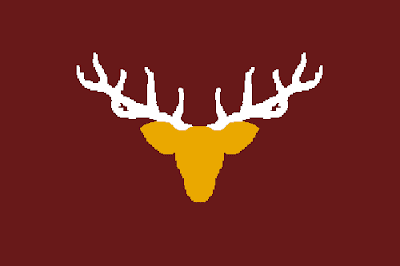 The original background was brown, but I decided to put it dark red, the color of the star garnet, a gem only found in Idaho and India, and consequently referential to state nickname, "The Gemstone State". 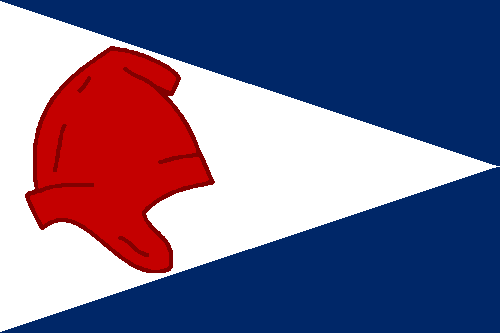 This flag I won't change. 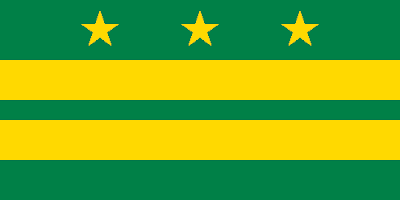 It's represents the DC incredibly well, and has a very thought origin: it's a rectangular version of the coat of arms (i.e. a banner of arms) of the family of George Washington, that gives the federal district the name. 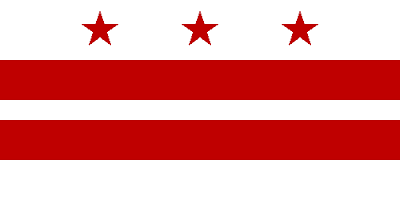 This design is outstanding, and could do an excellent Washington flag, but I think I can do something by myself. A new arrangement, remarkable but still related to Washington arms. Now you can draw and count the colors easily, can't you? See more about the design at . 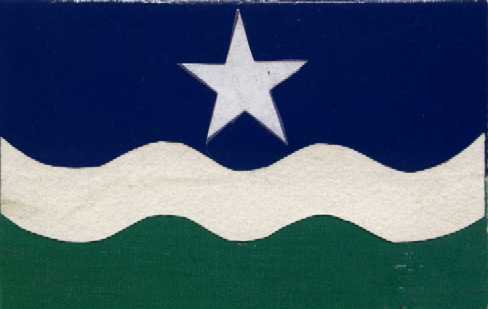 The symbolism is the following: blue for sky, white for winter, green for land, the start represents the "North Star" (state motto since statehood). Know more here. 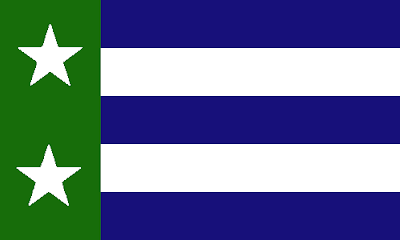 Curiously, it's very similar to one flag to a flag gained a newspaper-sponsored poll in 2001. Comments are welcome! Access the Vexillology Wiki. 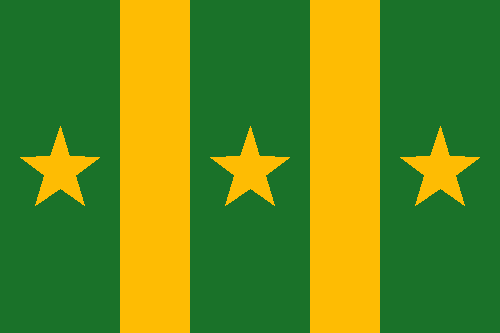 I wouldn't post my New Jersey flag proposal now because I think it’s not completely done, but I'll post it as a way to propagate the Vexillology Wiki, an initiative I take part with the objective of collect the biggest number of flags proposals to the US states. 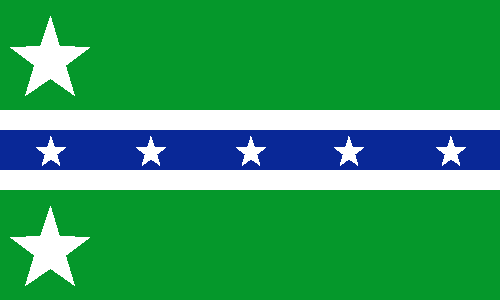 If you want to share your own flag, mail to vexillologywiki@gmail.com. 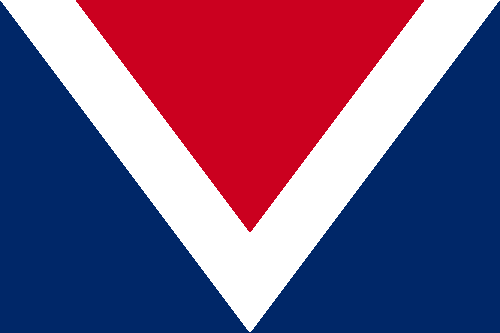 It’s not bad for me, although the color palette isn't my favorite, but if you think it's too boring, there's a new one, with a reference to Jersey flag (from where the state takes its name). 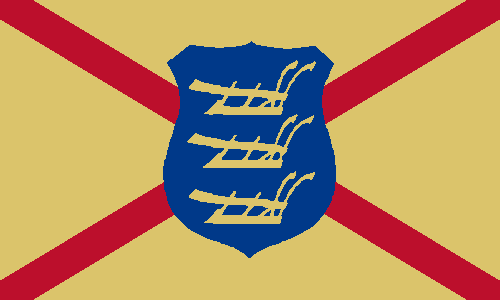 Delaware was the first state in the federation. Some day I read somewhere wondering why the thirteen colonies, full of history, have some of worst flags. I would consider Maryland, South Carolina and maybe Rhode Island as exceptions. But, as blog subtitle says, "a good flag is not a privilege". Of course, this buff-color lozenge makes this flag reasonably dissimilar of others in USA, but this coat of arms and the letters don't make it simple, for sure. The lozenge was extended and used to frame a centered flag of Sweden flag. The background was changed to buff-color, because two shades of blue should be avoided. 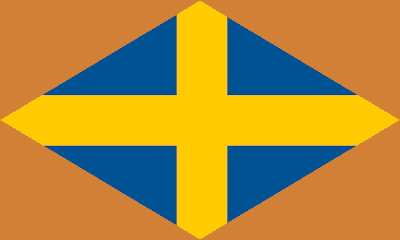 This blue and yellow shades are (intended to be) the same of Swedish flag, but the blue could be returned to the colors of George Washington's uniform, whatever historians say it was. Starting from a very similar design, Jack Expo came with its own design. I highly recommends you to confer his proposal (click here to be redirected).